Are you a fan of talent shows? Play this slotsbaby game then and become a contestant where the prizes are endless! Microgaming at this point could be likened to a swiss army knife, they have many different applications and are very good at completing varying tasks, which includes creating some of the best online slots that cover a lot of themes and bases. 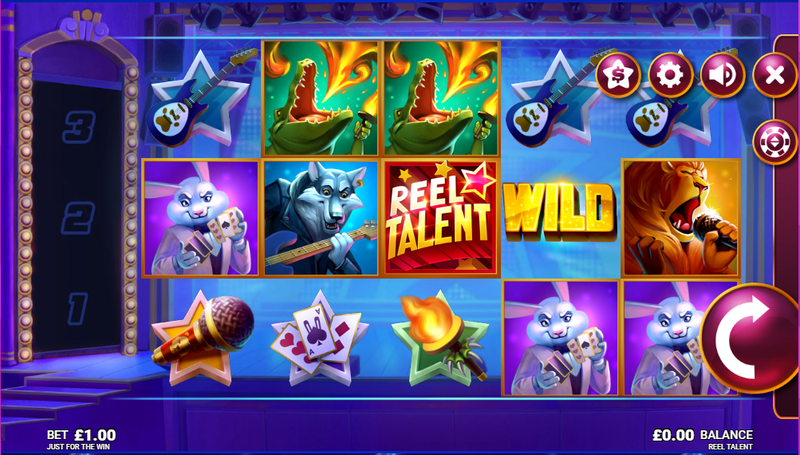 Reel Talent is but another reason why this slot is up there with some of the most creative games you’ll play all year long, a gameshow themed slot that comes with mass amounts of potential. Reel Talent is 5 reel by 20 pay-line sort of swing, one that is playable from as little as 10p up to around £100 with each and every spin you partake in. Raw talent can be quite hard to find, although if you practice enough you will find that anything is possible. For example, playing Reel Talent enough will allow you to make boat-loads of cash! Anyone who has ever played an online slot before will have heard of developer Microgaming, one of the leading heads in the online gaming world, having crafted hundreds if not thousands of online games for punters to enjoy. If you are going to play a slot that comes with various financial implications, then you will want to be playing any of the many Microgaming titles out there. These guys have been in business for quite a few years now, which is time well spent if you consider the quality of their games outright. Their catalogue is at-least 300 games strong, which means there are no excuses as to why you aren’t playing. If you like slots with themes and lots of bonuses from Microgaming, then read more. Re-spins: Certain symbols in this slot can be re-spinned depending on which symbol it is outright. You’ll find that only certain symbols are re-spinnable, so you might want to get familiar with the game and the pay-table to know which symbols do what. Symbol Storage Feature: A feature that triggers whenever players can string together a win in the base game. Any win will activate this and will grant one an additional free spin as a result. Every winning symbol will be stored with an additional free re-spin attached. Store 3 symbols during a single spin, then you will trigger the Superspin Feature. Superspin: 3 levels await you should you get into the Superspin feature, here you will get a chance to win just the same, the only difference is the scores are elevated a little more. Reel Talent is not your ordinary game show slot, it is one that requires a skill of some kind, as well as perseverance. Forget about the judges and the audience and focus on making the most money possible. Having this mentality will line your pockets very nicely, remember that. Check out Reel Talent if you haven’t done so already! Or play another bonus game at SlotsBaby.